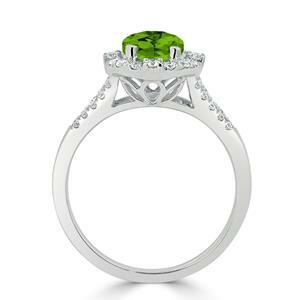 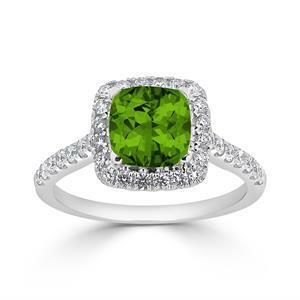 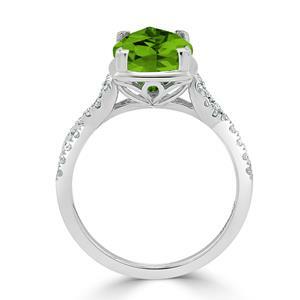 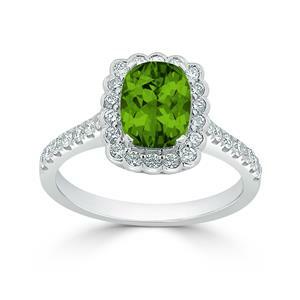 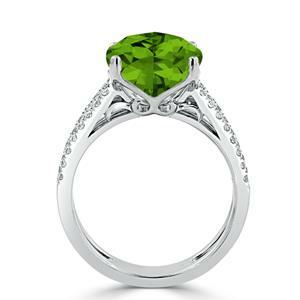 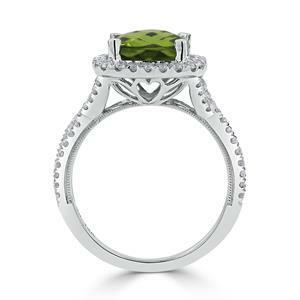 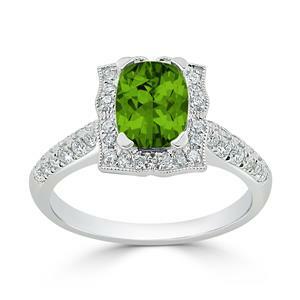 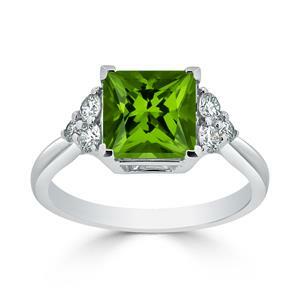 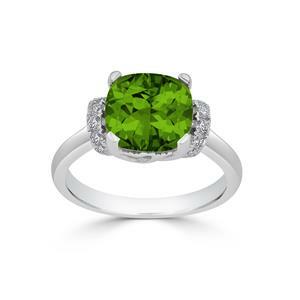 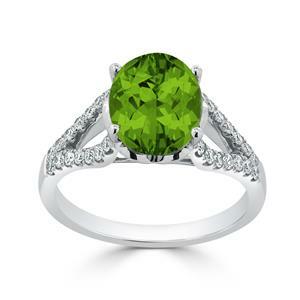 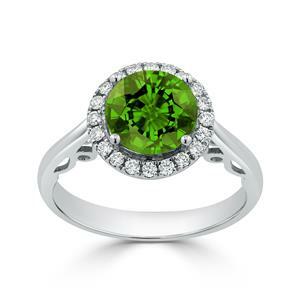 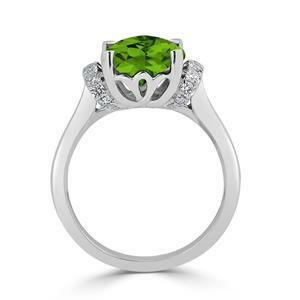 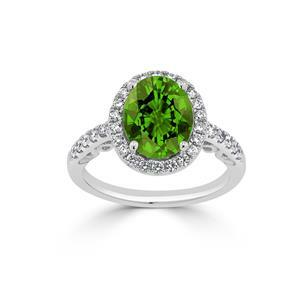 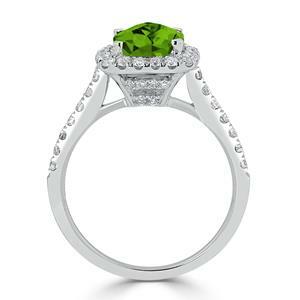 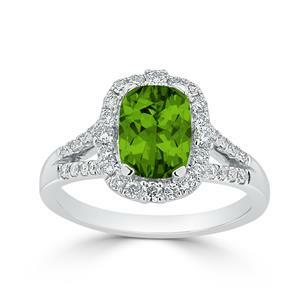 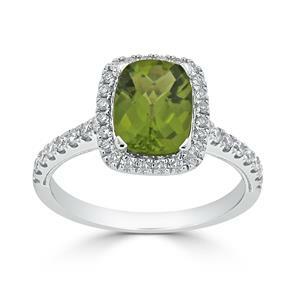 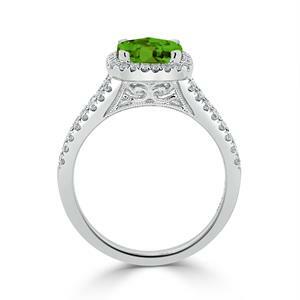 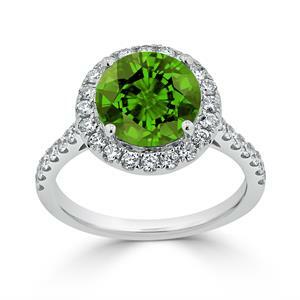 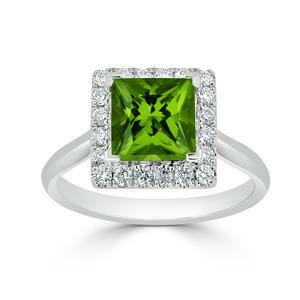 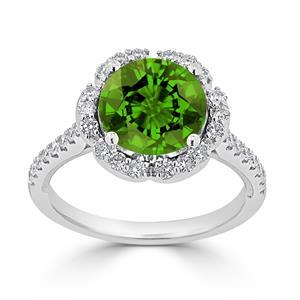 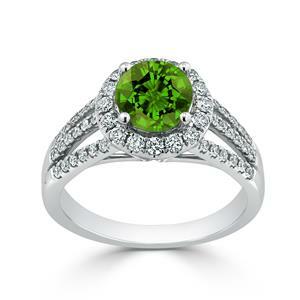 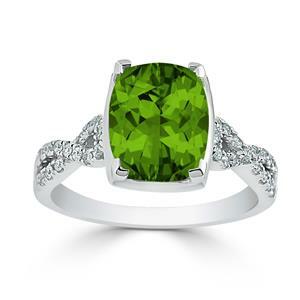 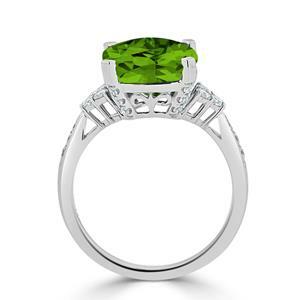 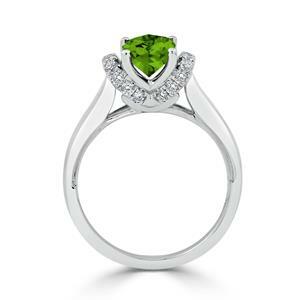 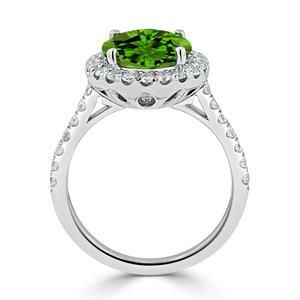 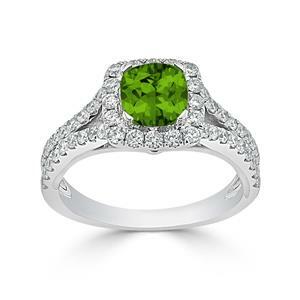 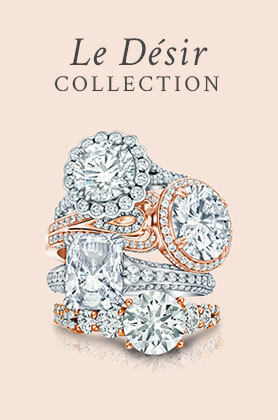 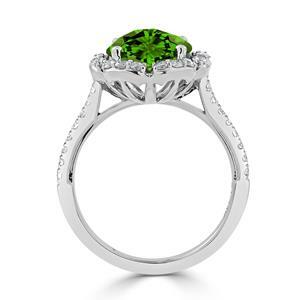 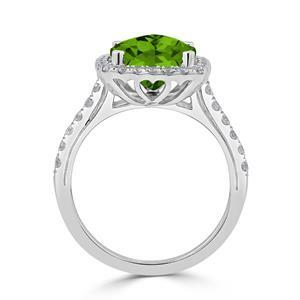 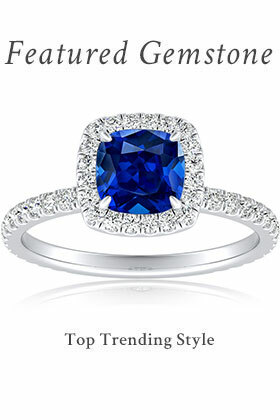 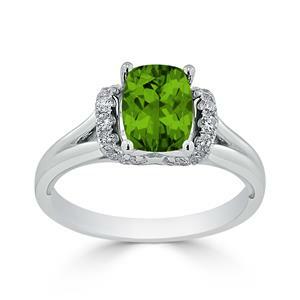 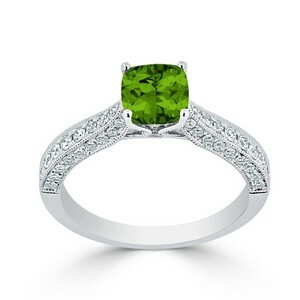 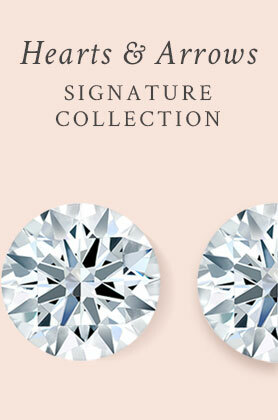 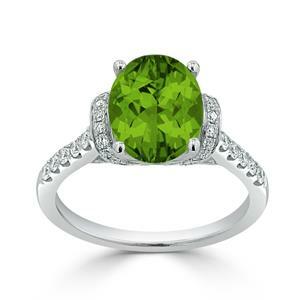 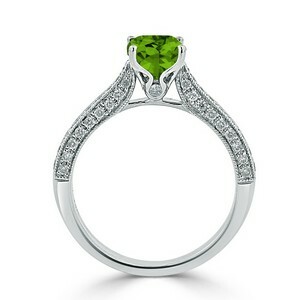 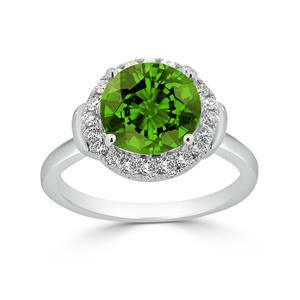 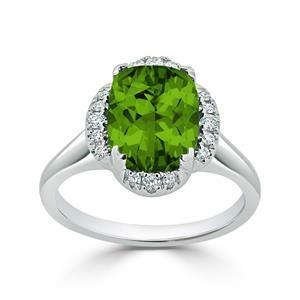 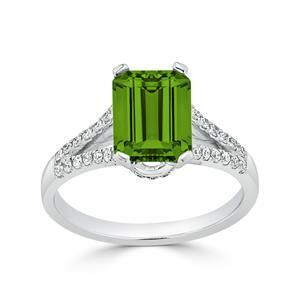 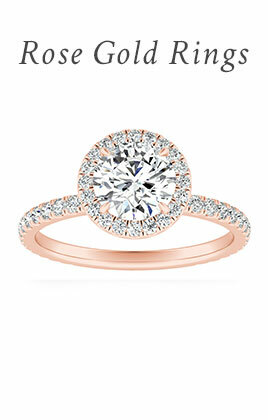 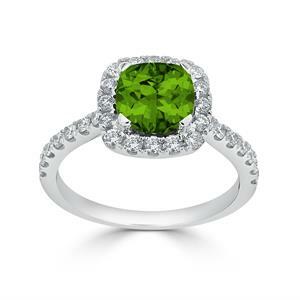 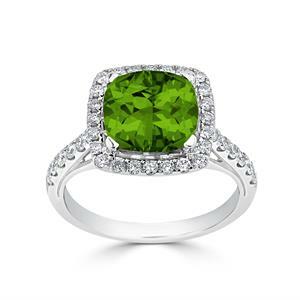 The unmistakable beauty of peridot shines in our collection of peridot engagement rings. 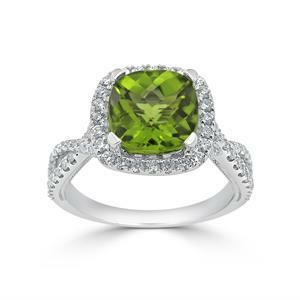 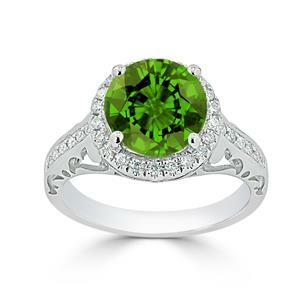 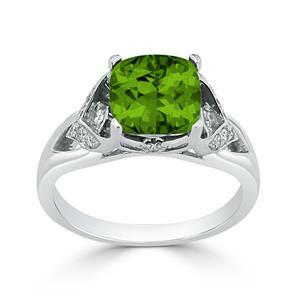 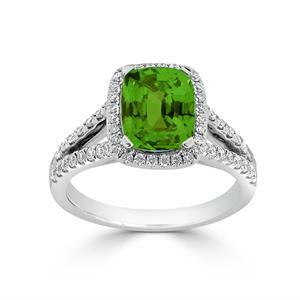 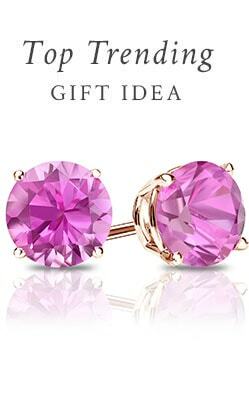 Peridot, a lush olive-green gemstone, is among the rare few gemstones that occur in only one color. 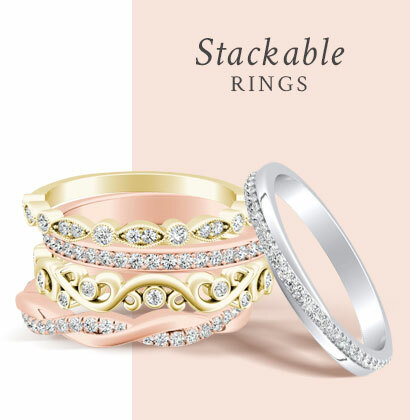 Our peridot engagement ring collection showcases this gemstone’s mesmerizing green hue in a variety of diamond accented settings that range from classic to modern, allowing you to choose from diamond and peridot engagement rings in a vast array of styles.